Press the key to select and search folders. 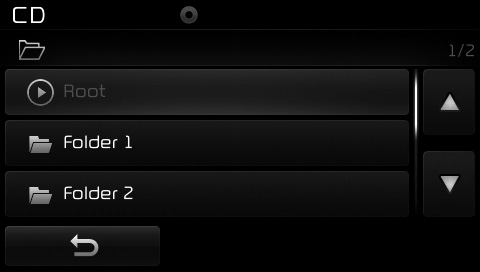 Once the desired folder is displayed, press the TUNE knob to select. The first file within the selected folder will begin playing.